Abstract:Another brief post, reacting to a culmination of bad posts I have seen lately in the testing community surrounding the testing terminology we use to define our craft. With language comes power, and this terminology tells others what we think about our craft. Much of what I have seen lately casts testing in a negative light – one of button clickers and script writers, rather than intellectual explorers and light casters. I am the latter, so I must delineate and separate myself from the former. My post below is mainly a reaction to this uTest forum post, the straw that broke the camel’s back. Testing: evaluating a product through exploration and experimentation for the purpose of informing our stakeholders on risk. Note: “The purpose of testing is to cast light on the status of the product and it’s context, in the service of our stakeholders.” James Bach. We are not Product Management, we do not make the go/no-go calls on releases – we are simply the lighthouse, that points out risk and potential problems so that our stakeholders can make much more informed decisions about how to run the business. Bug: anything that threatens the value of the product. Quality: Quality is value to some person, who matters. Test Case: formally structured, specific, proceduralized, explicit, documented, and largely confirmatory test ideas – and often, excessively so. Test Plan: The test plan is the set of ideas that guide or represent the intended test process. Often those ideas are only partially documented, spread across multiple documents, and subject to change as the project evolves. Test Plan Document: A test plan document is any document intended to convey test plan information. However, test plan documents are not the only source of information about the test plan. Test plan information is also contained in the oral tradition of the project and the culture of the company. Test Strategy: The test strategy is the way tests will be designed and executed to support an effective quality assessment. Test strategy is the plan for what parts of the product will be covered by tests and what test techniques will be used. Test strategy is distinct from the logistics of implementing the strategy. Test strategy is essentially the “brains” of the test process. I will stop there for now. I could go on about how we should replace the phrase “verify that” with “challenge that” in our vocabulary, or how standards from IEEE and ISO (e.g. ISO29119) are archaic and detrimental to software testing/development, but I could go on for pages on that, so I’ll save it for another time. Hands-on, results oriented Quality Assurance professional with extensive experience planning, testing, and integrating complex distributed systems for the purpose of risk analysis and mitigation. Management of projects through all phases, utilizing multiple engineering disciplines in establishing a definition of quality that balances internal stakeholder requests as well as customer desires. Proven track record of meeting and exceeding customer expectations via the on-time deliverables. Strong ability to bridge gap between business management and technical teams. Evaluated existing tech stack and led teams to self-prescribe new and innovative automation tooling/strategies that better fit their individual product contexts, including: Robot Framework, Selenium WebDriver, paired various BDD frameworks, such as Cucumber, JBehave and others with Java, .NET, Python, etc. Introduced new Heuristic-based models for both blackbox and automation-based risk analysis, garnered adoption across multiple release trains, allowing Product and Project management teams to be more situationally aware of how development teams’ automation strategy paired with ongoing business goals. Combined efforts with third-party testing services, such as uTest / Applause, Qualitest and Rainforest QA to balance testing efforts across product divisions. 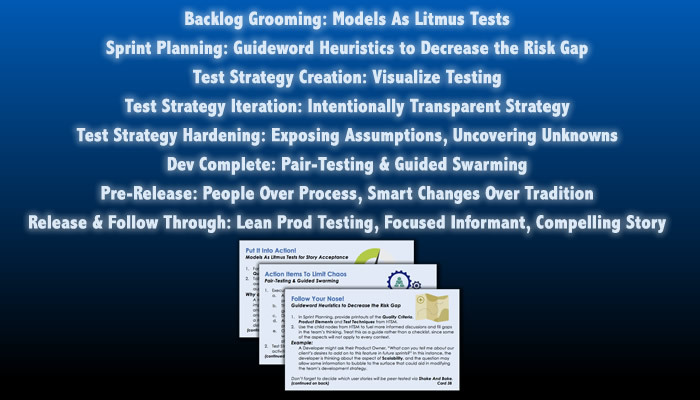 Revised testing procedures, replaced tooling and streamlined test documentation, converted test cases and plans into value-add risk awareness tooling for Product Management, generated new frameworks and guidelines for smoke testing, build acceptance and regression testing, leading to shorter build verification times. Worked with development teams to implement and maintain multiple environments enabling concurrent development and quality assurance testing, increasing number of reported risks earlier in the process, while decreasing testing efforts in environments as teams moved toward production. Increased revenue flow by proposing the addition of a “Wizard” into the IS software to reach a previously ignored product parallel. This “CORE” software targeted a previously neglected demographic, multi-site adoption within six months, renewing of integration service contracts providing a wider net for partner-OEM clients who could now take over formerly unreachable sites that utilized competing solutions. Increased corporate profit by proposing strengthening licensing procedure for the Intelli-Site (IS) software. Most changes were implemented within a six month development window from initial proposal. Proficient in regression modeling, via six key guideline components: Core, Chronic, Configuration, Recent, Risky, Repaired. Use of risk-analysis models to maintenance both installable-OS and Web-based applications. Increased company’s global presence by becoming a featured conference speaker at STPCon (Fall 2016, Spring 2017), generating thought-leadership through blog creation, community engagement, client outreach projects and networking associations (DFW Testers MeetUp, Conferences, Twitter, LinkedIn, etc). Led domestic and international training, operations, on-site/remote configuration and testing. Inspires coworkers/teams to drive toward common goals, can contribute individually, make decisions in the face of unknowns, translate progress up to executive level and coordinate operations without ongoing supervision. Very skilled at research, analytics, data gathering and the critical thinking needed to organize teams to solve complex problems. Owned the Quality process across multiple teams and solution groups. Managed the testing and quality aspects of the development lifecycle within enterprise class system software development. Built out and managed a high performance, high quality Testing team, including: hiring, setting up test environments and defining good practices to ensure productivity and quality testing. Worked with engineering, support and product management to define and execute better testing, so that we can better inform our stakeholders who can then better mitigate product risks, resolve issues and increase customer confidence in the quality of our product. Within an Agile environment, I had the benefit of working directly with developers. Code changes were transparent across the team with constant communication as a daily part of our workflow. Activities included: Multi-environment testing, sprint planning/tracking, shared decision making with Product Management team, customer advocacy, defect verification and release planning and execution. Directed interaction with managed-service provider customers to make determinations on software and hardware needs for their given environments. Heavy experience evaluating various contexts to determine support, software and hardware requirements. Troubleshooting and testing of Microsoft Dynamics products (Solomon/AX) accounting/financial software suite. Partnered with software development teams to improve application quality and reduce time to delivery. Worked with internal management as well as external business partners to understand and execute on requirements and expected deliverables. Ensured consistency across multiple teams, by recommendation of testing and reporting tools, sharing of best practices, both manual and automated. 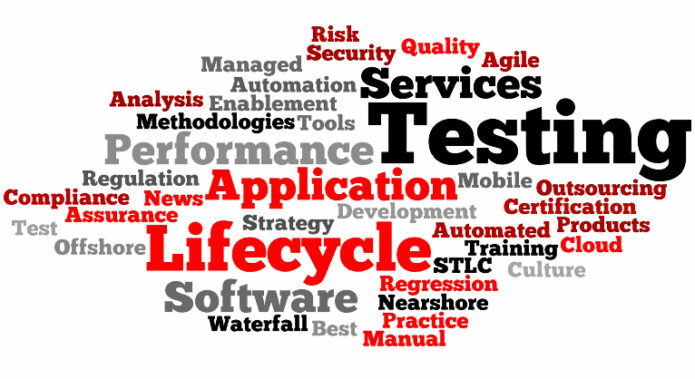 Maintained and customized test procedure work flow to increase efficiency while decreasing delivery time. Created and documented client/field defect verification and build acceptance test process. Experience managing unified scrum, as well as divided teams, using various strategies with people spread across many software development environments; both offshore and onshore/co-located teams. Familiar strategies include Waterfall, Agile, Kanban, and others. Heavy focus on the three main motivators that create healthy team members: autonomy, mastery, and purpose. Familiarity with bridging the gap between development teams and upper management, specifically in translating the needs of the business for team consumption. Solid understanding of how to build out long running and highly functional teams, with focus on quality throughout the entire product development process. Able to mitigate budget concerns, while still bringing in the necessary talent needed to make projects and teams successful. Created and established hiring practices that served as a boiler plate when adopted as the go-to model used by other managers across various divisions. Strong experience in exposing and evaluating risk from a stakeholder perspective by working directly with product management teams to help the business make more informed decisions about how to react to perceived value-threats to the product. Familiarity with software maturity models and testing standards, such as ISO 29119, V-Model, Cynefin, TMM/TMMi, and how to balance those in unison with the strengths of context-driven testing and quality practices. Skill in using smart metrics and measurements to achieve KPIs where applicable, giving both teams and upper management transparency into both product and process quality across platforms. Deep tacit and explicit knowledge generating holistic test strategies that expose risk to produce high priority bug finds. Long-term experience coaching teams how to create value-add artifacts through the use of guideword heuristics (fallible methods for solving a problem or producing an informed action) coupled with software oracles (the method by which we recognize and identify problems). Effective in working with multi-layered organizations to implement automation where necessary. Deeply skilled in how to introduce new ways of thinking, including the use of explicit testing models, both available within the organization as well as those from the larger external community. Strong ability in training teams to convert mental process into translatable value-add testing artifacts that are immediately useful to Product Management and other stakeholders. Appropriate contextual models challenge existing biases, decrease risk, and increase confidence in product quality. Effectiveness of exploratory testing; while unscripted, replies on using explicit models to inform thinking for the purpose of testing in an effective manner. By teaching teams how to execute SBTM, risks are more tangible. By putting a framework around each exploratory test session via testing charters, time-boxing and debriefings, teams can expose more valuable risks. SBTM also allows for focusing/defocusing techniques that have been shown to empower teams to find higher priority risks. Practical experience working within multiple teams across many release trains in multiple disparate product divisions. Familiarity in using business process models (e.g. “SAFe”) as guidelines to scale Agile practices appropriately throughout an organization. Abstract: The Testing Manifesto is an encapsulation of a what some of us, context-driven testers, believe the role of “Tester” to be. The skill-craft of testing can be too blurred in many environments, such that we thought this was necessary to put out there. While we’ve used this internally for a while now, we were prompted to share this after seeing a recent tweet gain multiple likes and retweets, which on the surface seems noble, but is actually part of the misinformation out there on what the role of testing actually entails. Testing is not Product Management; Testing is not Programming. At my company, this is used as a guideline, in conjunction with the Agile Manifesto that drives the higher level team processes. A while back, we all got a good look at the Agile Manifesto, along with the twelve principles (or combined into one PDF here) which puts the focus on coming together to collaborate and solve problems. Now, while collaboration is an excellent way to generate solutions, as leveraging the wisdom of the crowd is a valuable practice, this can sometimes become a driving forces that puts too much emphasis on cross-functionality and push craftsmanship to the back burner. The Agile shops we’ve witnessed fall into two main categories, collaboration vs craftsmanship. Don’t be confused, these are not completely opposed camps, and the latter is not devoid of the former. A good Agile shop that centers around craftsmanship will of course also leverage collaboration as a part of that, but the implementations that make us wary are those that attempt to push everyone to do everything, when a team of specialists with some overlap may actually be a much healthier approach to solving engineering problems. 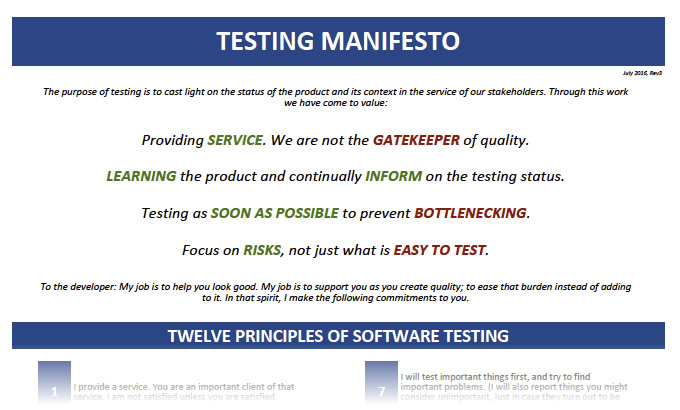 Long story short, in order to put some emphasis back on the craft of testing, and be sure that the role testers fill is clear and does not get pushed to the edges, we have put together this Testing Manifesto (PDF). This is meant to compliment the Agile Manifesto as the two are to be used in parallel; one is not meant to replace the other. We hope that you find value in this and can use it to help discussions with some people who could be considered more Agilistas, and need help finding that balance between the focus on collaboration and craftsmanship. You can have both, but there’s a healthy balance that many do not attain. We hope that putting this out there publicly, will help teams move the needle more toward a balanced perspective. If we’re truly context-driven, then we must admit that craftsmanship can’t always be a low priority; it matters, thus a mix of generalists and specialists may be needed to effectively solve many of the modern engineering problems we face in the industry. Abstract: This is a personal experience story about where I started as a tester and how I have grown through my experiences and interaction with various mentors along the way. I’ve moved from a gatekeeper to an informer, mainly due to the influence of some smart minds along the way that took their time to invest in me. 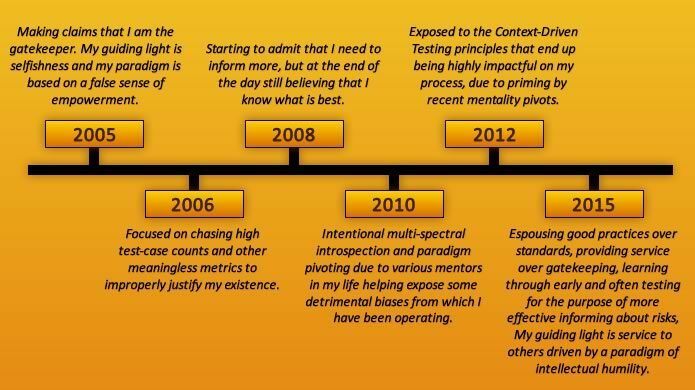 I’ve shifted paradigms along the way, pretty drastically since my formal entry intro into testing in 2005, and believe I am in a much more mentally sound and intentionally aware state today. 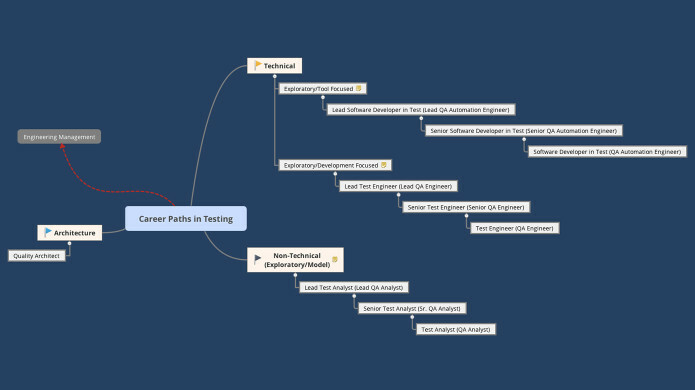 The following timeline is an account of my own personal journey as I moved through my testing career. It is my hope that by sharing this, I give you some context for not only where I am coming from, a barometer of sorts by which to judge all my other content, but also some perspective on how I might engage with you on various topics should we have discussions from time to time. I believe that learning about each other’s personal history and experiences can allow us to have more meaningful conversations and hopefully minimize the chance that we will talk past each other. I believe putting this information out there publicly is congruent with my guiding light of service to others which is my defining heuristic for determining my actions. Early on in my testing career I simply tested what I wanted to test, and thought that was enough. I had no intention of reporting out on my testing other than writing bug reports, unless someone specifically asked, and even then it was only a shallow, non-compelling verbal response. It’s safe to say that I had my head in the sand when it came to learning new things and while I had good intentions, I did not take the responsible steps I needed to in order to be intentional about my learning. I used to champion my somewhat OCD-nature as a powerful swords. Finding everything was my goal and I had strict tunnel vision that required everything to be pixel perfect; this was obviously at a time when I thought perfection was something actually attainable. To make it worse, this endeavor did not come with any logical reason or continual evaluation of if the work I was doing was actually worthwhile. “Was I doing good testing?” was not a question I asked myself on a daily basis, as I thought good intentions were enough. I had little, if any awareness of the term “product risks” as I only wanted the user interface/backend to work in the way “I” thought it should. After all, “I am the tester, the gatekeeper, the last line of defense; therefore, I know best right?” Well, I now believe I was living under a detrimental paradigm; detrimental to the product, my team and frankly one that stifled my own advancement in the skill-craft of testing. Today, if I were to evaluate my 2005-self as a tester, I would tell him, “Under you current mindset, it will not be possible for you to do good testing,” and since using the word “good” is a value judgement coming from my future self, I believe there may have been a meaningful impact on the 2005-me. Anyone got a time machine? At this point I moved from a test-everything mode, into a justification mindset, which happened to correspond to moving to a new company and working on a very different product platform. Was this coincidence? I think not. I felt I had to forever prove I was doing my job, but not for the sake of making the product better or informing my stakeholders. Instead, I was doing this for completely selfish reasons that probably ended up misleading my stakeholders and fooling myself more than it was helping. Again, I may have had good intentions all along, as I stated earlier, but you know what they say about those. This selfishness and tendency to mislead was not intentional in nature, but was akin to the blind leading the blind. I was still not up to the level at which I would claim I was doing good testing, because I naviaged uncharted waters with a very limited tool-belt. I made no effort to find the tools needed to alleviate those gaps in my thinking, unless they were already available. During this time I only tested to confirm what I already believed or suspected (see: Confirmation Bias) rather than practice intellectual humility to increase my knowledge and effectiveness as a tester. My reasons for testing were still flawed: I tested for the sake of statistics, higher bug count numbers, etc. So, I would generate reports on what I tested and the outcomes, but these were extremely biased, and made me out to be a hero tester, as if I were solely responsible for the product and code quality when I was never even involved in the creation. At this point, I was still a long way from becoming a good tester, and had no concept of the business and developer creating the initial quality, and testers simply being the informers of that build process. I would say things like “It’s my job to break things.” No it isn’t. “I create a quality product.” No I don’t. By the end of 2008, I still lingered in the shallow end of the unconsciously incompetent exploratory tester pool (yes, incompetent), and to a fault, in that I reported anything and everything I found, even when 80% might be edge cases or of low value to the customer. I was not weighing product risks and priorities as part of my testing, and many times would insist we fix something before I would close a given story, yet it was outside of the scope of that story. I would try to convince developers they were being short sighted, which may have been true in many cases, since there was a love/hate relationship between Dev and Test at the company I worked for at the time. However, many times I was contributing to feature creep (AKA modifying a feature’s acceptance criteria while it is in progress, thus invalidating estimates and increasing TTL without warranted justification from Product Management). Fortunately (and through some prodding from my main mentor at the time), I quickly learned to log separate bugs for these issues I was finding, and had to come down from my high-and-mighty testing tower to do so. It took some humbling to realize that perhaps I did not know the full picture about the product and business priorities at play, so these bugs I kept reporting were in fact not as critical as I initially advocated. Events in my personal life, outside of work, made me reevaluate how I interacted with people. I realized I was rather selfish, and not putting the “other” first. Through some strong mentorship from some wiser people in my life, I turned a corner in how I operated as a human. This personal shift directly affected my work. I no longer saw myself as the ‘one and only’ expert on a given feature. I no longer saw being a ‘tester’ as more important when it comes to product releases. I began to shy away from telling others that testers were gatekeepers, and instead pushed the idea that we have to work with others to determine what is or is not important to the stakeholders. I continued to champion product management’s goals over my own, but I still did not do it with any structure. Every new feature I approached was done with good intent, but no consistency. I could not look back on what I had tested from project to project and come up with any kind of internal metrics for myself to rate my efficiency as a tester. 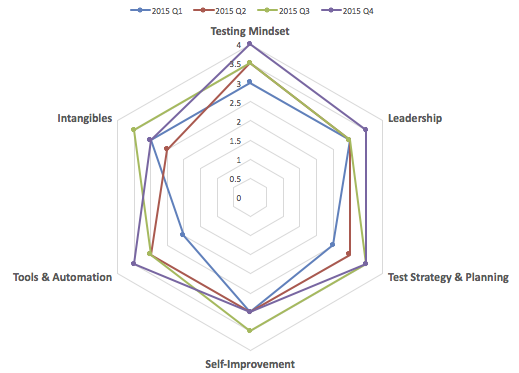 Eventually, I created A Personal Metric For Self-Improvement years later, but at this point, I was still ‘in the dark’ on how to be a good tester, and what really constitutes a good tester, but I desired to learn that even though I was not conscious of how to go about it, at least not on the surface. It was not really until 2012, that I embraced the idea that testers truly are the informers of risks, not the final decisions makers. Once we inform the stakeholder of a certain bug or risk, and product management says ‘OK, we can push a release even with these bugs’, then we need to step back, as testers, and let the business run the business. This was also when I was first introduced to the context-driven testing community. This is a community that embraces the main principles listed here, on the Context-Driven Testing site, which I came to realize that I embraced these as well. Of all the testing environments in which I have been, I would say that Dealertrack has been my most intellectually beneficial experience. This is due to a number of influences and interactions, but mainly through mentors like Brian Kurtz. Brian also exposed me to the great minds in the community, like Michael Bolton, James Bach, Elisabeth Hendrickson, Gerald Weinberg, Cem Kaner and others. I refer to this as my “awakening” phase, as a tester, where I moved into thinking much more intentionally and critically about the skill-craft of testing. I used to test things ‘my way’ and that was enough justification for me, but I then realized that it was not enough justification for my stakeholders. Before, I had my own best interests at heart, and I was now realizing, through learning more about the depth of testing, how to have the customer’s best interests at heart, and chasing those superseded mine. I realized that I used to be part of the problem, not the solution, in that I was not actively trying to learn and improve my skill-craft in testing. I was still not using explicit models, heuristics, oracles, mnemonics and other tools that were available in the testing community. Sure, I inherently had my own as we all do, but those models and heuristics were limited. Once I learned about the availability of the external community, I quickly realized how small and obtuse I had been as a tester. I was humbled by the amount of new information and realized that I had a long way to go if I wanted to really consider my work good testing. Once the floodgates of possibilities in learning had opened for me mentally, the pathway was clear. I had, and still have, a lot of learning to do before I can consider myself consciously competent in certain areas. I started to get intentional about mapping out my strengths and weaknesses using personal metrics like this or this. I became more self-critical on what makes a good tester, and challenged myself in ways that I had not done before. I dove headlong into the context-driven testing community which cast even more light on my inadequate areas. Through discussions with other much wiser testers, I learned how to increase my skill-craft. I learned how to tell a compelling story to my stakeholders. I learned that learning takes more hard-work that I had previously thought, and like anything worth accomplishing, it does not just happen, you must create it for yourself. I became even more ever-aware of the needs of others around me, and how I could use my knowledge to aid in their endeavors rather than just stay in my own little bubble on my team, my project, my stories. I got used to saying, “Yeah, maybe you’re right and I need to re-evaluate why I believe what I believe,” instead of forging ahead with my own ideas based only on my limited experienced; limited in the sense that I had previously made decisions based only on what I had been through, rather than always seeking counsel and establishing relationships where others could break through my shield, expose me to my own biases, and do it in a way that genuinely cared for my advancement. I realized that I had to rely on gathering the perspectives of others to help shape my decision-making process and harden any actions I took before I carried them out. It also dawned on me that I needed to be much more intentional about my interaction with the online community so that I could reach those outside of my immediate walls. I rejoined Twitter, and created an account to engage with testers (@connorroberts). I began attending conferences such as CAST, Reinventing Testers, etc to engage with other minds in the community. I created this blog where I could share new ideas and tools with others. I started a local meet-up, DFW Testers, where those in and around Dallas/Ft. Worth, Texas could come together to explore the depths of testing and I continue to look for even more ways to engage with others about our skill-craft. So, where I am now? I am a work in progress, but I can safely say that I have honed the art of constantly becoming a more competent tester every week. I am involved in the larger community, I crave learning, I engage and collaborate with others, I know that practice won’t make me perfect, but it will make me more competent and as long as I am rapidly experimenting with new ideas, practices, tools and models, then I will avoid my greatest fear as a tester – becoming stagnant and ultimately irrelevant. In short, it is the skill of critical thinking and forever-learning that allows me to be at peace as a tester. I don’t need to fret over a user story, or worry about a feature deadline, because I am at peace with the knowledge that I have filled my tool-belt with things that allow me to do sufficient testing within any time frame. I also remind people that you are the average of the five people with which you spend the most time. Surround yourself with critical thinkers, and people who know more than you. As long as I continue to do that, I know I will have peers in my life who will hold me accountable and challenge my biases. I have no concerns for my own future. Abstract: This is a story about an experience that Brian Kurtz​ and I had in shifting test documentation strategies from and all-manual unintentional approach to the utilization of an exploratory logging tool. We also talk about our observations on how that worked overall to our advantage within our context, in recapturing both time and operational expenses. The testing community is always going back and forth on how to balance manual testing with automation. In that vein, we’re convinced that exploratory logging tools can help by allowing manual testers to spend more time on actual testing: investigating, learning about the product, exploring for value, etc. and less time on the granular minutiae of documentation. These tools can help minimize the administrative overhead traditionally mandated to or self-imposed by testers. This experience can tell us something about the larger picture, but does not give us the whole story, and by no means does this include the only measurements we took to make our business case. Note: When we say “test documentation” in this article, we’re not referring to the usual product outlines, coverage maps, etc that the feature teams will create, but rather one specific team’s documentation focused around bug/session reporting. We realize that bug reporting is only one small part of what a tester does, but this proof-of-concept was executed on a team that does a lot of claims verification and manual check-testing since they operate separately, outside of our normal scrum teams. 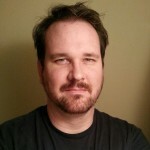 Special thanks to Brian Kurtz​ for auditing and contributing to this work. When, how and to what extent to document has always been something of a quandary to many. When I was a young tester I felt it was a must. We must have documentation, simply for the sake of having it. We must write down everything about everything. There was no consideration to whether that documentation actually provided value or not. As I grew in my testing career, and through the mentorship of others, I realized that I needed to undertake a shift in my thinking. My new barometer came in two forms. The first in the form of the question, “What problem am I trying to solve?” The second, comes in the word, satisfice. In other words, how much documentation is enough to be satisfactorily acceptable based on what is actually necessary, rather than what we traditionally have done as testers. This involved me learning to align my testing compass to point toward the the concerns of product management, rather than simply all the concerns that I had. Recently, we were working with a team that wanted to solve a few problems: decreasing the cost of testing as well as the amount of time it takes to do that testing, all while raising our product quality. Management always wants it both ways right? More quality with less time. Well, we found a tool that we believed could help mitigate this discrepancy, while at the same time allowing our team to do better testing. Description: Each tester was doing their own form of bug reporting/session-documentation, either through Notepad++, Word, Evernote or directly in Jira. Time spent (single tester, 1 day): 30 Min/Site @ 4 Sites per day = 2 hours per day. Time spent (single tester, 1 week): 2 Hours per day x 5 days = 10 hours per week. Contractor bill rate (unrealistic sample): $20* per hour x 10 hours = $200 per week. Multiplied for a team of three testers = 30 hours or $600 per week on test documentation. Description: Each tester was now using this new tool that partially automates the process of note-taking, error reporting, taking screenshots, and other administrative overhead normally required by testers. Time cost (single tester, 1 day): 5 Min/Site @ 4 Sites per day = 20 minutes per day. Time cost (single tester, 1 week): 20 Minutes per day x 5 days = 1.66 hours per week. Multiplied for a team of three testers = 5 hours or $99.99 per week on test documentation. Click the image above to view the documentation comparison estimates. *This is used as an unrealistic contractor bill rate, used simply for the sake of writing this blog post. It was our experience that introducing this new tool into the workflow saved considerable amounts of time, as well as recapturing expense that could be woven back into the budget and better used elsewhere. Keep in mind, these measurements are surrogate measures, and are second order measurements that do not take much time. They tell us something but do not give us the whole story. If you do want to move toward a more lean documentation processes through the use of exploratory logging tools, by no means should you make a business case on this data alone. This should be one facet, among others that you use to make your business case. Also, don’t get locked into thinking you need a paid tool to do this, as 80% of your business case is most likely getting mindsets shifted to a more common paradigm about what documentation is necessary. We spoke not only with the testers, but also the people absorbing their work, as well as their management to gain insight into the pros and cons of this shift, as it was taking place, as well as after implementation. After our trial run with the tool, before we paid for it, we followed up on the pros/cons: How does the tool benefit your workflow? How does it hinder it? What limitations does the tool have? What does the tool not provide that manual documentation does? How has the tool affected your testing velocity, either positively or negatively? Is the report output adequate for the team’s needs? What gripes to the developers/managers have about the tool? Is it giving other team members, outside of testing, the information they need to succeed? etc. So, while the expense metrics are appealing to the business, the positive aspects of how this affects testing is what got us excited: showing how the tool frees up the testers to work on other priorities, increasing the amount of collaboration, not being focused on the documentation process, etc. We also spent many hours in consult with QASymphony working with their support team on a few bugs, but that was part of the discovery process when learning about the workflow quirks. Our Challenge To You…Try it! 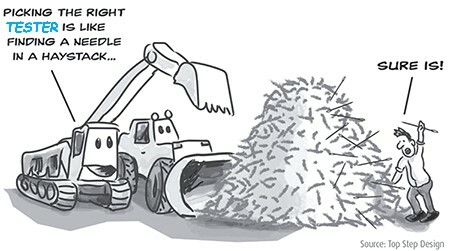 Try an exploratory logging tool, which would be anything that can help track/record actions in a more automated way to eliminate much of the documentation overhead and minutiae that testers normally have to deal with on a daily basis. We happened to use qTest Web eXplorer (paid, free trial) which is available for Firefox and Chrome, or you can try another standalone one called Rapid Reporter (freeware), that we have found to do many of the same functions. We have no allegiance to any one product, so we would encourage you to explore a few of them to find what works (or doesn’t) for your context. The worst thing that can happen is that you try these out, they don’t work for your context, and you go back to doing what you want. In the process through, positive or negative, you hopefully learned a little. We feel it is very important for testers to evaluate how tools like this combined with processes such as Session-Based Test Management can help testing become a much more efficient activity. It is easy as testers to get settled into a routine, where we believe that we have ‘figured it out’, so we stop exploring new tools, consciously or subconsciously, and new ways of approaching situations become lost to us. We hope you take our challenge above seriously, and at least try it. You are in charge of your own learning and improving your skill craft as a tester, so we would encourage you to try something new even if you fail forward. This could bring immense value to your testing and team. Go for it. If you do work in a more restrictive environment, then feel free to use the data we have gathered here as justification to your manager or team to try this out. 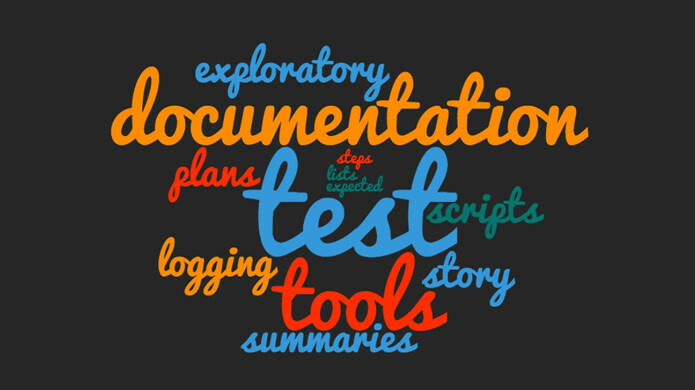 One of the biggest pitfalls right now in the testing community is over-documentation. Many testers will claim that test cases and other artifacts are required, but often they are not; it just simply feels like it is. If you believe that heavily documented test cases and suites are required to do good testing, then you are locking yourself out of the reality that there are also many other options, tools and methods. Do you think that asking a product owner to read through one-hundred test cases would really inform them about how the product works as well as how you conducted your testing and what the risks and roadblocks are? I would lean toward ‘No’ as a script is simply that, a script, not a testing story. In this blog post, we told a story about how a tool alleviated documentation overhead within our context. This is a story based on our experience, with that tool and the benefits that it brought. While we feel this is very different than traditional test documentation means, we feel it is a step in the right direction for us. 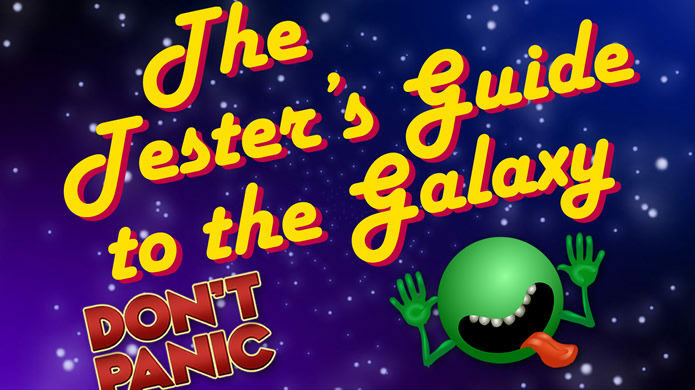 But don’t just take our word for it, read this or this from Michael Bolton or this from James Bach or this from James Christie or…you get the point. Abstract: At the company for which I work, testers have two main pathways they can pursue: non-technical and technical. The information presented in this post is written with our context in mind, but other organizations may also share this framework in structuring their testing community. The career path options available to testers, in every organization of which I have been a part of, have been somewhat shrouded and mystified to an extent. Not yet have I discovered that this is being done intentionally or with any malicious intent, but the needs of the business change so people learn to grow and adapt along with that. Sometimes it is a lack of forethought that is placed on the skillset of testing, but there are external influences from the larger community that also play a part. As things change over time, management should establish a deeper understanding from observing what is happening at the forefront of the industry, and adapt appropriately. The development, product management, and other pathways can also be somewhat unclear in these organizations, so by no means am I claiming testers are a victim of sorts; in fact, the onus is on testers and test leadership and management to push for change in this area for the purpose of making it more accessible. At my company, we have done that by making it clear not only what the various titles are, but what roles and responsibilities come with each title. In my view, a title is simply that, a guideline word that gives someone a vague context around what roles you might fill. We have an atmosphere where folks can experiment and learn from each other and easily move between roles, and eventually titles if they wish to change career trajectory, but we felt that making a clear distinction between the non-technical and technical pathways was beneficial in helping people decide where they wanted to land. We’ve also found that testers can use skewed titles when introducing themselves in group settings, which can sometimes be misleading for folks who are not involved in our day-to-day context. 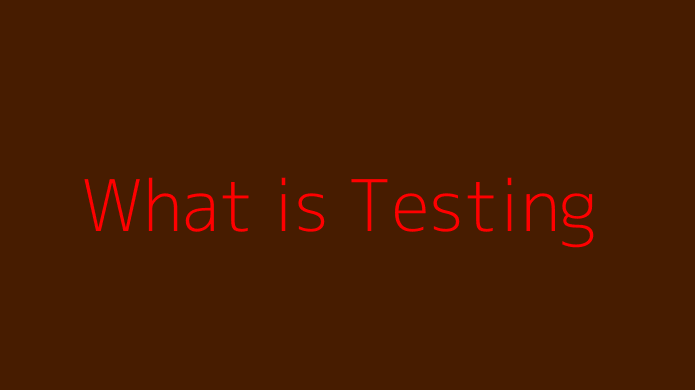 For example, a tester might claim “I am a Quality Assurance Engineer” when in fact that person means “Test Analyst”, which carries with it different implied responsibilities. Remember, the job of “Quality Assurance” is that of the team, the division and the company as a whole; since no one person can “assure” quality. If interested, you can read more on that in, “Testers, Get Out of the Quality Assurance Business” by Michael Bolton. First, how are you defining the word “Technical”? You can make the argument that any tester who makes use of tools is technical, and since a tool could be anything from a piece of software like Selenium to mental models like Karen Johnson’s RCRCRC, then any tester who knows how to use and apply that model is by extension, technical. However, for the sake of this conversation, we’re going to use what the larger software industry defines as technical, when they speak of all roles, even outside of testing. This definition usually carries with it implications regarding coding skill, ability to write automation, prowess with specific DBs, and software tools that have been traditionally developer-related, such as IDEs, APIs, Git, etc. While I agree that the definition of being technical comprises more than just that limited subset, that is the operating definition I am using for the sake of this post. Hopefully this information will give you some insight into the possible career development pathways available to testers within my organization. Testers have the option of pursuing either a non-technical or technical career path, either of which may lead into management or lateral roles within the company. We want to make it clear that folks can grow their career in both ways, and that we’re not a shop that believes all testers must learn to code in order to be valuable to the company. Can coding provide benefit as a tester? Sure, read more on that in “At Least Three Good Reasons for Testers to Learn to Program” by Michael Bolton, but by no means is it required to do what we would consider good testing work. I even caution testers who claim “I want to code, so I can be a better tester,” to make sure that belief is rooted in the mindset that good testing does not come from any specific practice, but rather a paradigm that evaluates the use of multiple tools for the purpose of exposing risk and informing our stakeholders. Some testers believe that coding inherently means they will get a better title and thus more money, in which case I’d want to speak with them about developing a supporting mentality of how to think critically to pair with that. If you are at a company that says all testers must be able to code to be valuable to the company, then you may not be at a company that fully understands that coding can be a part of testing, but does not necessarily define it. Our technical path has two divisions within itself, an automation focused one as well as non-automation. Some in the testing community would rather me say “tooling-focused” rather than “automation-focused”, but again, I am using the term that best speaks to the demographic that I wish to hear this at the time of writing this article. So, titles and very brief descriptions of groups are listed below. Beyond what is listed here are other roles that we wish to implement, such as Test Architect, Test Manager, etc. but I’ve decided to focus the scope of this post to discussing our testers that are an immediate part of the co-located scrum teams, so architecture and management are typically outside of that. Below, I’ve listed the desired title first (the one that we’re applying to new hires) followed by our current title in parenthesis (the one that we hope to sunset). These testers might have some SQL or scripting knowledge, but may not have the aptitude or desire to use code on a regular basis to enhance their testing work. This is fine, as you can be an amazing tester without generating code. Testers in this path focus more on generating test strategies and using mental models to aid in their exploratory testing endeavors. They will use what most think of as tools in the course of their work from time to time, but usually leverage exploration over software as their main models for testing. These testers can also use explicit test modeling to inform their thinking as well as information from both the internal/external testing community in an attempt to apply them to their team’s unique context. Testers in this group do much of what the non-technical group do, but with a twist. 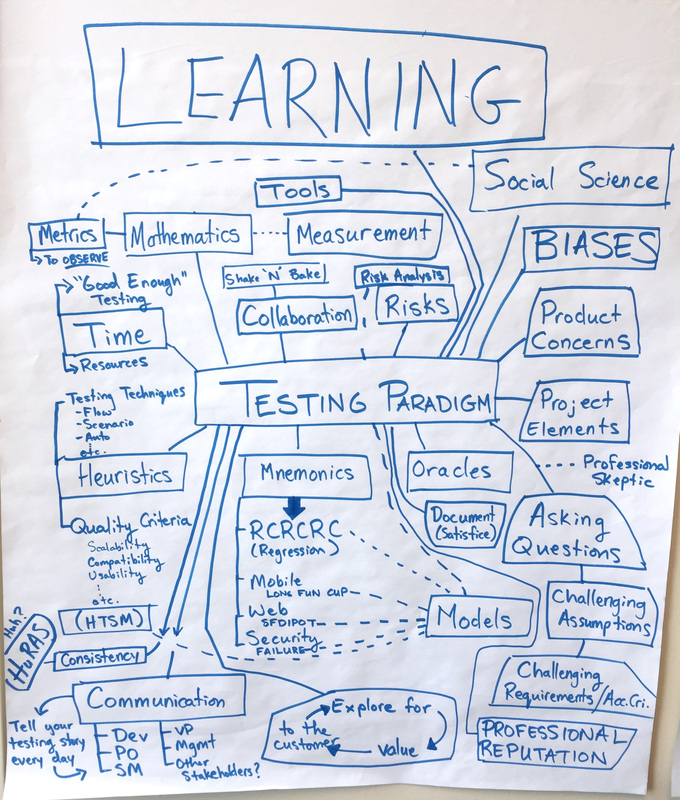 When it comes to exploring various tools and models of thinking, they seek to embrace tools in a more deliberate and ongoing way as part of their recurring testing strategy. These testers focus daily on how to leverage the technologies that the business is already using, or other tools that may have a low barrier to entry, in order to assist in expanding product coverage in testing, including coding from time to time. They also assist in other areas that a black-box tester might not: code reviews, architecture meetings, automation framework discussions, etc.. A good technical tester is not a developer, but rather a tester that is simply more in-tune with the needs of development in both word and practice for the purpose of exposing product risks. This group is primarily composed of testers that operate in a developer role to enhance product testing. These individuals create and maintain the automation within their release train and/or individual team. If an organization does not have automation-complete as a part of their definition of done, then these testers typically reside externally to the team or float among the release train. The primary role of these folks would be to work with the teams and product management organization to establish where automation is most valuable for the business, then target those gaps to build a high value-add suite. These roles not only include sustaining the automation test suite(s) for the product, but could also include providing worthwhile metrics, coaching and mentoring teams on automation ownership, good coding practices, tagging taxonomy, etc. Testers in any group can jump laterally to another group, given they show the desire and aptitude; however, you typically want to find out early on what folks are interested in so that we are cultivating the right roles within our testers from day one. On the other hand, some people need to remain in a certain role for at least a few months to realize what they really do or don’t want, so we have to be willing to let them go through that self-discovery as well. We work in an environment where a Test Analyst in a non-technical career path can in fact do technical work if they wish, if they feel it will enhance their team process and their own skill-craft, as we do not stifle that. We simply encourage folks to find out which career path best suits the overlap between their own well being as well as that of the company. Maybe Test Engineers is the universal title of the future, but this is where we, as a company, reside right now. Finally, Seniors and Leads in both technical and non-technical areas are responsible for cultivating the larger group of testers, through community of practice meetings, roundtables, team mentoring, testing guilds and other activities. The more technical leaders would ideally be heavily involved in tech leadership meetings with lead developers, architects and designers, assisting in endeavors that take place across all teams and release trains. They also do this to ensure an ongoing community of practice exists for examining practices, tools, models, etc. Ultimately, at the end of the day, a title is less important than the actual work being done, and at our company, we don’t limit folks to only expressing their potential within the bounds of that title. We do ask; however, that they critically examine their strengths to determine they are operating in the most congruent role. Michael Bolton further clarifies roles in one of his blog posts, if you are interested in going deeper on that topic.